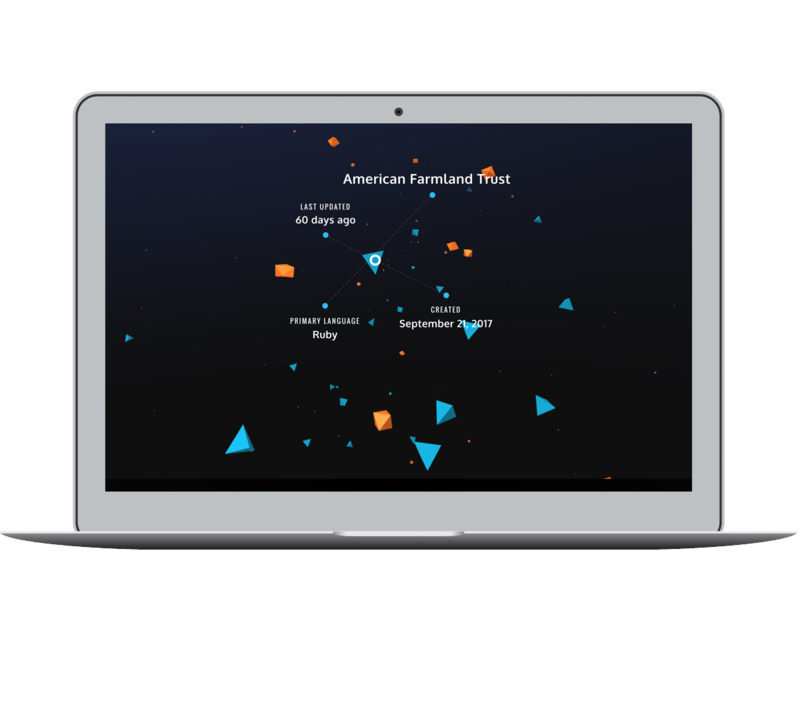 Vigeverse is a data visualization of the Github repositories at Viget. Named for its’ visual likeness to a universe, this WebVR experiment offers an exciting new medium for us to explain virtual networks and ecosystems. Vigeverse was designed and developed in four weeks. We had just launched our first WebVR project, Lights Out, and we were looking to create something more challenging and interactive. Creating a data visualization was the perfect blend of content mapping and emerging tech.